Sandalwood star Kichcha Sudeep welcomed 2019 by visiting the Tirupati Tirumala temple in Andhra Pradesh. Sudeep said that he was very happy about this visit. "This is the best way to bid good bye to the last year and welcome the new year." 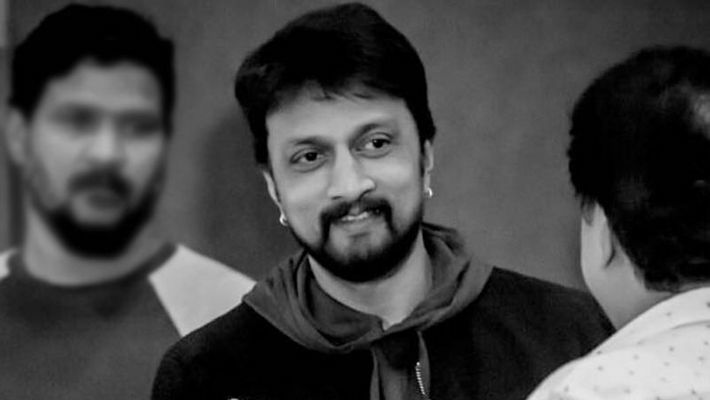 When asked Sudeep answered that he was currently part of two movies; the Telugu movie Sye Raa Narasimha Reddy also starring Chiranjeevi and the Kannada movie - Pailwan. He also wished his fans and well-wishers on Twitter and urged everyone to celebrate the new year with great spirits instead of only spirits (alcohol). He asked his fans to ensure their own safety and the safety of their near and dear ones. Wanna Thank all my frnz,family n media for all the love showered n for the support u all have given me through 2018.Come Jan 31st n It'l be 23yrs into films.This's only coz of the confidence u all have given me through my journey n for making me feel wanted. With two big movies lined up the superstar is no doubt praying that this year sees a blockbuster hit for Sudeep. Before u all get into the celebrations mood,,, please ensure u r safe n the nearer n dearer ones r safer. Let's bring in th new year wth great spirits, than jus spirits 🍻 😁.